We will continue to lobby for a reduction in poverty as it relates to people’s ability to obtain and retain housing. Homelessness affects us all as citizens of London and area. We will ask our community members what they can do to be a part of ending homelessness. We can end homelessness in London, but to do so we need to be collaborating together to form the components of a comprehensive system. 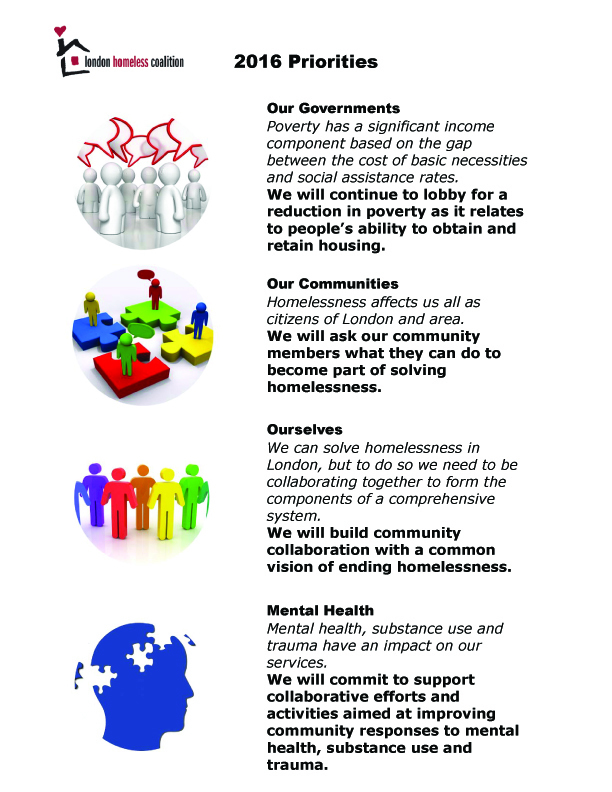 We will build community collaboration with a common vision of ending homelessness. Mental health, substance use and trauma have an impact on our services. We will commit to support collaborative efforts and activities aimed at improving community responses to mental health, substance use and trauma.